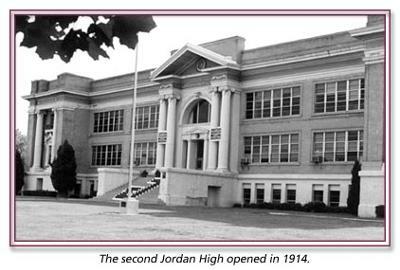 There is a long, deep legacy and history of Jordan High. One of the biggest accidents involving JHS students was on Dec. 1, 1938, when a school bus carrying 39 students to Jordan High School in Sandy met head-on with a 50-car freight train during a raging blizzard. There were 15 survivors. There are some suicides that I know/heard of and other numerous stories. 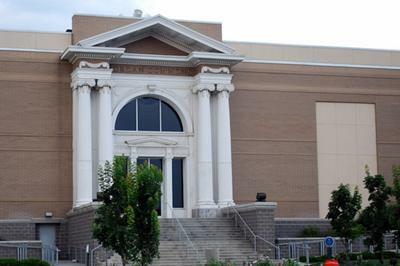 As the school first opened in 1907, there is 100+ years of history to cover. I personally have not seen anything, myself. 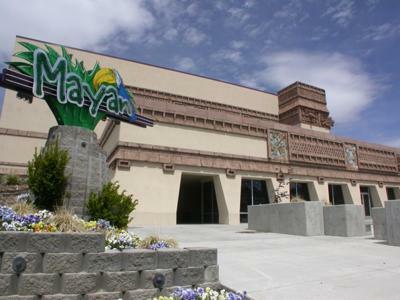 I worked at the Mayan for 2 years and many other employees had been 5 -8 years +. 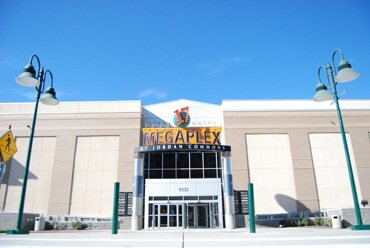 I had friends that worked over in the theater next door and I have heard stories of people hearing voices and sounds when the restaurant or theaters would be empty or at closing LATE at night. Some have seen a girl picking up her dropped books up from the ground and other harmless apparitions. There have been other stories, but, they are hard to find and hear the whole thing. Hope this was a fun find/read for you! The story is what they call the 5 chairs. After the bus accident with the students being hit by a train, janitors, teachers, students and maintence workers at one time or the other, would be working late in the school and hear voices coming from the cafeteria. So they would go and see who was there. When they got inside the cafeteria, they would find 5 chairs in a circle. They would move the chairs back to the side of the room and later that evening, it would start all over again. Janitors have also claimed hearing music coming from the band room. And female voices in the women's restroom.My brother spent sometime in the school painting the classrooms and his tools would get moved around. Ashley, some of the old divers would probably have some stories for you. The one that I remember happened to me. I was up on the 3rd floor (no considered 4th floor) making my rounds to make sure everything was done and turned off. Well as I made it to the 4th floor and headed to the bar side I seen a girl in a dress just standing there (she was kind of a blur). Needless to say I gasped, closed my eyes and opened them back up to see if she was still there and she was not. So I can tell you that the Mayan is surely haunted. I am sure others have, like Donna and Scotty would have stories too.